Lake Image Systems Inc., a leading supplier of print quality inspection, variable data verification and integrity management solutions, announced that its award-winning Discovery Read&Print for RFID, has been fully integrated into Tamarack’s inline and offline RFID inlay production modules, used in Tamarack’s P500 and RFID Extreme products. During RFID Inlay insertion process, the integration ensures real-time, single pass RFID reading and encoding with inline inkjet label printing, tracking and camera verification for automated, high speed and high quality, multi-lane RFID tags and label production. 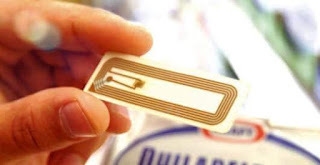 According to IDTechEx, the global RFID tags and labels market value is expected to grow to $1.4B by 2022, up from $0.65B in 2016 1 . A key driver to this growth will be the industry’s capacity to offer high volumes of affordable, reliable and fully personalized RFID tags and labels for the Retail, Security, Manufacturing, and Leisure and Transportation markets. This integrated solution allows printers and converters to economically manufacture fully inlayed RFID labels and tags, encode them with variable data, with synchronized inkjet label printing, all on a single device, with built-in error verification and RFID data to print matching.